For the first time ever, getting free beer has actually caused a dilemma. That’s not normally the case – usually it goes like this ‘‘This beer is free? Awesome!’’. 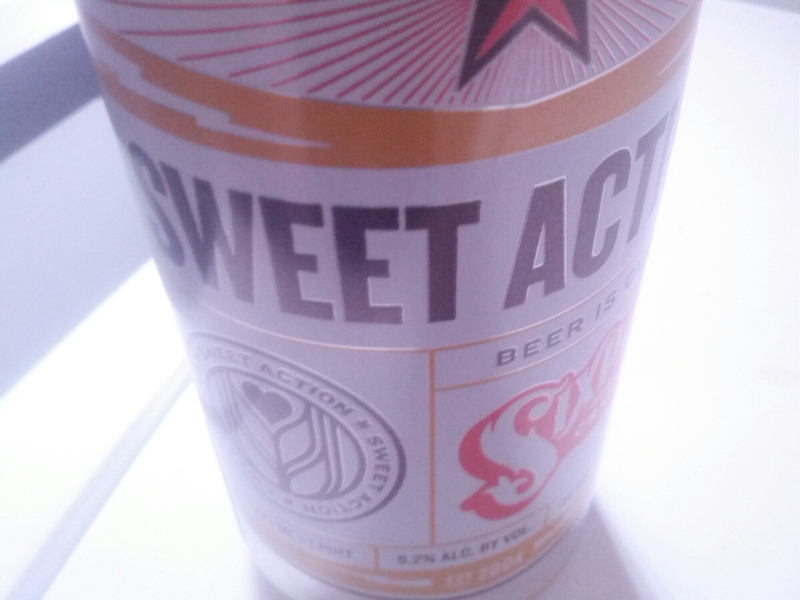 But that changed when I picked up a can of Sixpoint’s Sweet Action a week ago. I picked it up because I reckon it’s one of the best beers in their range (and if they didn’t make Bengali Tiger, it would be THE best). I’ve written before about my liking of the fact these cans have no style descriptions but it is a great thing. Because I drink a Sweet Action and I get lovely fruit notes, which makes me think it’s a hoppy pale ale. But Ratebeer, Beer Advocate and Untappd all say it’s a cream ale. If that information was printed on the can, then it would have altered my enjoyment. It may have even stopped me from buying it altogether, for I’m not a cream ale fan. So I’m glad no-one wrecked my fun. Anyway, this can you’re looking at was 100 per cent free. I picked it up off the shelves and took it to the counter to pay. The guy looked at the best before date – saw that it had passed by a few months and said ‘‘I won’t charge you for that’’. Which was good news. Free beer! It was also good news when I drank it because it still tasted fine. So fine that it made me think about going back and getting some more. And this is where my dilemma comes in. If I go back there pick up some more cans and plonk them on the counter, I’m sure the guy will think I expect to get the other cans for free, just like the last time. So if I want more of this still tasty beer I have to risk looking like a cheapskate to do it. I can understand him giving you free beer as it was past its date but shouldn’t you just get in date beer and pay for it. Surely that has to taste better and you can then write about how different beers age and the differing tastes along the line.